Michaelmas term lately begun (and the school I went to was pretentious enough to have a Michaelmas term), my A-level English class was presented with Penguin paperback copies of Charles Dickens’ Bleak House. It was explained that we would read one of its twenty monthly parts each week, that this would not be done during class time, but that we would be discussing the novel as we progressed (sample discussion: ‘Now that we have finally encountered the house, did you notice anything about it? No? Well, it’s not very bleak, is it?’). This being the era of Neighbours (early ’90s) it was suggested that we might like to think of it as a soap opera. That didn’t wash, of course. We were horrified at the thought of being made to read such a large novel: English was supposed to be easy, and this had an uncomfortable ring of work to it. Had it been a bad, or a more difficult book, or less to my taste, I’m sure I would have remained horrified and joined in the chorus of protest which was the undercurrent to those twenty weeks (including holidays, mind). But it didn’t turn out that way: Bleak House probably remains the book which has done the most to enlarge my conception of what a novel can be, with its massive, squalid, impenetrable version of London and its host of unapologetically good and brazenly bad characters trying to make their way through it. Since then, my estimation of Dickens has soared, dipped, fallen through the floor and finally – or at least currently – stabilised at around 30,000 feet. The reasons are standard issue stuff: he’s too sentimental, and all his characters are caricatures. Both charges could be laid against Bleak House, whose narrator Esther even our Dickens superfan teacher admitted was ‘a drip’, and many of whose characters revolve around a single idea (Mr Smallweed, Mrs Jellyby, Mr Turveydrop, Miss Flite). But the accompanying third person narrative, which imperiously delivers the non-news regarding the intractable Jarndyce & Jarndyce court case, and the stasis at the weary country seat of Chesney Wold, is as tactile as language can be, and it holds the novel’s characters suspended in its miasma, making them add up to something after all. Characters from other novels are genuinely endearing – a mention of Wemmick on the radio the other day made me smile, though it is years since I read Great Expectations. 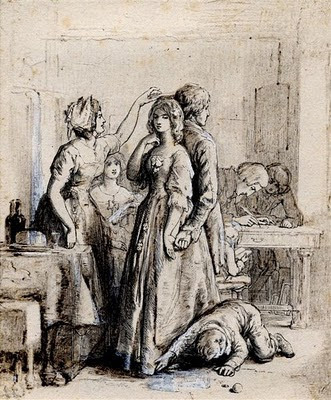 Once you’re caught, it is impossible not to engage with Dickens’ fictional world through feelings rather than thoughts, and the great strength of Michael Slater’s biography is that it is dispassionate enough to lay out the facts as we have them, without getting bogged down in emotional reactions to the writing itself. As a writer, the key thing about Dickens is his commanding authorial voice. Slater makes the point that he was equally capable of using this satirically and sincerely. His 1842 trip to America brought out his devious side: every speech he gave was at least partly about the lack of an international copyright agreement, which meant that he didn’t earn any money from sales of his books there. It is easy to understand his frustration, but what is underhand is the way he distanced himself from his own argument. Walter Scott’s financial collapse was his chief example of why such an agreement was necessary (Scott was eight years dead at the time he was speaking), and he also organised a petition amongst literary Brits – including his friend and biographer John Forster – which he presented in the States as though he had nothing to do with it. What makes this especially interesting is that it directly preceded the creation of arch-hypocrite Seth Pecksniff, in Martin Chuzzlewit. The way Slater charts events, Pecksniff may not have been simply a reaction against hypocrisy, he may also have embodied Dickens’ recent experience of that condition. Dickens fell out with his publishers over their refusal to print a statement about his marriage in Punch, and moved swiftly to put an end to Household Words, the weekly journal he edited for them. His first idea for the title of a succeeding publication (eventually All The Year Round) was ‘Household Harmony’, which beggars belief somewhat. Duplicity is something of a theme, though: his whole life long, Dickens kept his early history secret. His father’s imprisonment for debt, and his own time spent working in a blacking (shoe polish) factory as a child labourer, only became widely known with the publication of Forster’s posthumous biography. He played a game with his public, telling and not telling them of these experiences, which appear, slightly fictionalised, in Little Dorrit and David Copperfield. Many times Slater makes the point that the most important relationship of Dickens’ life was not with Nelly Ternan, or Maria Beadnell (an early, unrequited love), but with his reading public. 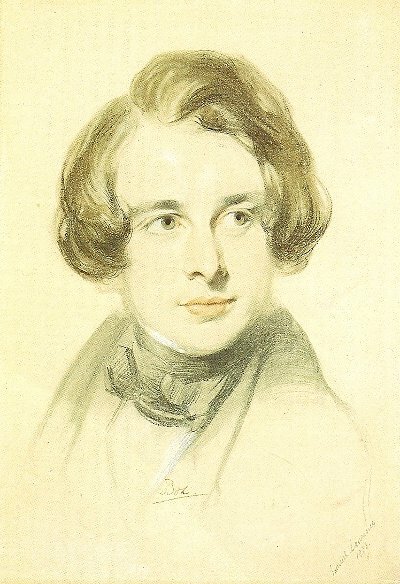 Towards the end of his life, his wildly popular public readings build to a crescendo as his health fails, and his introduction of a ‘Sikes and Nancy’ reading late on (which causes audience members to faint, in Dickens’ own account) leads to a deepening of his obsession with murder, and eventually to his last, unfinished novel. Just imagine, what if you were to be cast away on a desert island? Could you cope? Would you thrive? Would you discover things about yourself that you never would in civilisation? Which eight records would you take? Why didn’t you die in the plane crash? It’s a persistent myth, Robinson Crusoe. Maybe its allure is obvious: it strips things down, removes all the excuses you might have for failing to live up to your ideals (just as long as your ideals don’t involve other people). On the island, there is nothing and no-one in the way. There are goats, wild cats and parrots; there are streams, beaches, hills and caves; there is fertile soil, grapes, and all the trees you can cut down; there is the equatorial sun, and there is the rainy season. On one of the beaches, near where the storm that engulfed your lifeboat spat you out, the wrecked ship your shipmates abandoned sits, almost in tact. You have until the next storm blows to equip yourself with guns, ammunition, food, drink, clothes, shoes and tools to last the next twenty eight years. An umbrella? No, you’ll have to make one. A spade? Why would a ship have one of those? But you can have a pipe... oh, you forgot the pipe. Never mind. There’s a bible in one of those trunks you saved, try reading that if you’re feeling low. Crusoe always remembers this advice, but never acts upon it – at most, it leads to interludes of self loathing like the one above. It is noticeable, however, that the self loathing wears off after some time spent on his island. Between page 38 and page 122 in my edition (Penguin Classics, 2001), he is entirely alone, and devotes his time to learning how to live from scratch. He builds a habitation by encircling a shallow cave with stakes; he learns first how to hunt goats (they don’t look up, apparently), then how to farm them; by chance a few grains of barley from a sack fall to the ground and begin to grow, which is the beginning of his arable farming. He builds a boat from a massive tree by hollowing it out, then can’t move it to get it into the water; he makes a smaller one and sails around the island until a current takes him too far out. This sort of life suits him very well, and it suits the novel very well: early fiction often appears too event-packed to the modern reader, and here we have an enforced stasis, where although plenty gets done around the island, and years pass, no interaction occurs between characters for 84 pages and more (page 122 is when he finds the footprint; he won’t meet Friday for another 30 or so pages). During this time, he grows more competent and more content, and that, really, is the beauty of the book. Seeing the footprint – an isolated footprint – on the beach at the far end of the island from his home, is the turning point, at which action begins to be possible again. Crusoe ‘tremble[s] at the very apprehension of seeing a man’ (p. 124) after so long in isolation. It is the first indication he gets of the cannibals that periodically come to use his island to cook and eat their prey, who are men they have conquered in battle. They use the side of the island he never visits, which the current prevented his boat from reaching. The action that follows is slow and involves a lot of waiting (the defences he builds take several years to grow from stakes into closely-knit trees), but Crusoe realises that he must leave, and that he will need help to do it. He dreams of saving a captive from being eaten, and thus earning his loyalty, and this is exactly how he meets Friday, who becomes his slave. The similarity of the dream to the event made me wonder if Crusoe had gone crazy by this point, but there is little else to support this idea. His assumption of power during the rescue (which involves winning back a ship on which there has been a mutiny – the mutineers plan to leave the captain on Crusoe’s island until he and Friday intervene) has quite a regal ring to it, but this is justified by the high spirits he must feel at being on the verge of deliverance, and also the importance of fooling the mutineers that he has more men under his command than is actually the case. 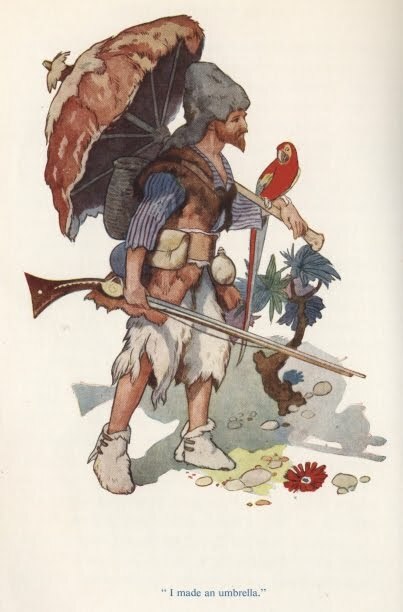 By this stage, we are back in the realm of the adventure story, and it is a good one, but it can’t touch the isolated Crusoe, working his way single handed from shipwreck to smallholding. Can you imagine? Thanks to Mum for the illustration, which is from a children’s edition she has. An unplanned early morning train ride home. Too early. I keep expecting to catch the 11 o’clock bus back, which sometimes happens, but more often the band are still on at decision time, round about half ten, and the bus almost never wins. Certainly it stood no chance against Calvin Johnson, while he had songs left to sing. With his pink shirt, his eyes that looked round and his gesticulations which had their campness sonic boomed out of them by a voice as low as blood and smooth as sleep, unamplified except by the acoustics of the church hall. Though actually, leaving would have been inconspicuous given the number of people who disappeared to the toilet after every song and returned at the start of the next (‘Can’t you hold on?’ I wondered. ‘Has Calvin found your resonant frequency?’) He even suggested pausing the set for a comfort break but thought better of it, moving on to musings about a Belfast open-topped tour bus and its guide’s well rehearsed tales of civic woe, and this sentence if I remember: ‘So you’ve got this island called Ireland, and this place which is part of the island of Ireland but not the country of Ireland – too complicated,’ between songs which slipped sweetly by, mostly accompanied by finger pickin’ and one a capella about going to the cinema on your own and looking around to see the couples doing what they are doing, laden with a tension that only pretended to reprove. The expressions and gyrations, the looking rounds and the strokings of his own thighs that he managed to get into that song! I feel bad for not remembering more about the less theatrical songs in the set, but at time they slipped down easy, and anyway it was the atmosphere that mattered. Afterwards I asked Stephen Pastel if he remembered selling me – many years after it came out – the first Beat Happening album in the record section of John Smith’s, but it seems it wasn’t such a pivotal moment in his life as it was in mine (‘Maybe if you’d bought it AND there had been a bolt of lightning…’). Then I bought some compilation tapes from Calvin at his table of K stuff: ‘Everybody Hustle’, ‘West Coast Country’, ‘Natty Chariot’ and ‘Baby Be Mine’. I don’t doubt that he will cherish the memory. Muscles of Joy put in a great support slot. More polished than when I last saw them (at Le Weekend 2009), they dealt this time in a more controlled and more effective chaos, with a twin emphasis on rhythm and harmony, the former delivered by mini marching machine and – you know those small paper bangers you can get from joke shops? Katy (I think) threw those at the floor every so often, making a gunpowder bang where a snare hit might otherwise have gone. Harmonies came from the whole band, though more for texture than melody. Chris, fresh from capturing the most surprising politician / indie pop juxtaposition since, um, Monday, remained unimpressed, but pointed out that we do disagree about The Ex. He also spotted a reference to ‘Death Valley 69’ that passed me by. ‘This next one’s a bit bananas’ vied with Calvin’s ‘sitting down ain’t rock ’n’ roll’ patter for best song intro of the evening. Set closer ‘Water Break Its Neck’, with its crisp maracas and insistent high pitched refrain (‘The way I am made’) was my favourite song of theirs. It may have been the only song they repeated from the Le Weekend gig, which was intended as music to accompany Norman McLaren’s animations. Asking around a bit before they played this time, I got the impression that McLaren isn’t as well known as he might be, may I direct you again to the Click Opera post about him by way of introduction. He is fab. Calvin’s mixtapes – all 28 of ’em! – are available here. Dr Primrose doesn’t quite achieve this (‘an horse of small value’?) or his other, more genuinely charitable acts, on his vicar’s salary of £35 per annum, but relies on ‘a sufficient fortune of my own’ (p. 12). In chapter 2, this fortune is lost due to the unscrupulous merchant in whose care it is placed, and the Primrose family move 70 miles from Wakefield for the vicar to take up a curacy worth £15 a year. In financial terms, this obviously makes no sense, but nevertheless it is the primary reason given. There is a second reason, which is the vicar’s unpopular opinion, vented in pamphlets and in person at the drop of a hat, that lifelong monogamy is the only moral course (in chapter 14 he complains of ‘the deuterogamy of the age’ (p. 61)). Whilst still in Wakefield, he hotly debates this topic with his son George’s prospective father-in-law, Mr Wilmot, on the eve of the wedding. The father-in-law being ‘at that time actually courting a fourth wife’ (p. 14), is unsympathetic, but the debate is not allowed to come to a head, being interrupted by the news of Primrose’s supposed ruin. He isn’t quite ruined, in fact, still having £35 a year plus £400 of the original £14,000 fortune, at least until he gives up the salary for a lower one. The only way the relocation could possibly make sense would be if Mr Wilmot had the living of Wakefield in his gift, and withdrew it from Primrose after the argument. If this is the case, it is never stated.